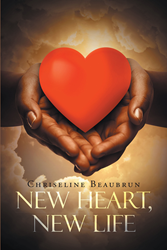 Chriseline Beaubrun’s newly released “New Heart, New Life” is the emotional story of one woman’s medical journey and the life changing surgery she receives. “New Heart, New Life” from Christian Faith Publishing author Chriseline Beaubrun courageously shares the account of waiting for a heart transplant that may never come, hospitalizations, and receiving the phone call that a new heart was on its way. “New Heart, New Life” details the daily struggles of living with congestive heart failure, from the initial diagnosis from the author’s cardiologist, to waiting for heart transplant surgery, to finally breathing in a new breath of fresh air. The successes and setbacks while recovering just strengthened her support from family, friends and colleagues. “New Heart, New Life” is the creation of published author Chriseline Beaubrun, who is a devoted mother and registered nurse in her hometown. She enjoys volunteering with the New Jersey Sharing Network to educate the public on organ donation. Published by Christian Faith Publishing, Chriseline Beaubrun’s new book allows the reader to walk side by side with the author, to feel the pain, anxiety, sorrow, and hope that led up to starting a new life with a new heart. View a synopsis of “New Heart, New Life” on YouTube. Consumers can purchase“New Heart, New Life” at traditional brick & mortar bookstores, or online at Amazon.com, Apple iTunes store, Kobo or Barnes and Noble. For additional information or inquiries about “New Heart, New Life”, contact the Christian Faith Publishing media department at 866-554-0919.